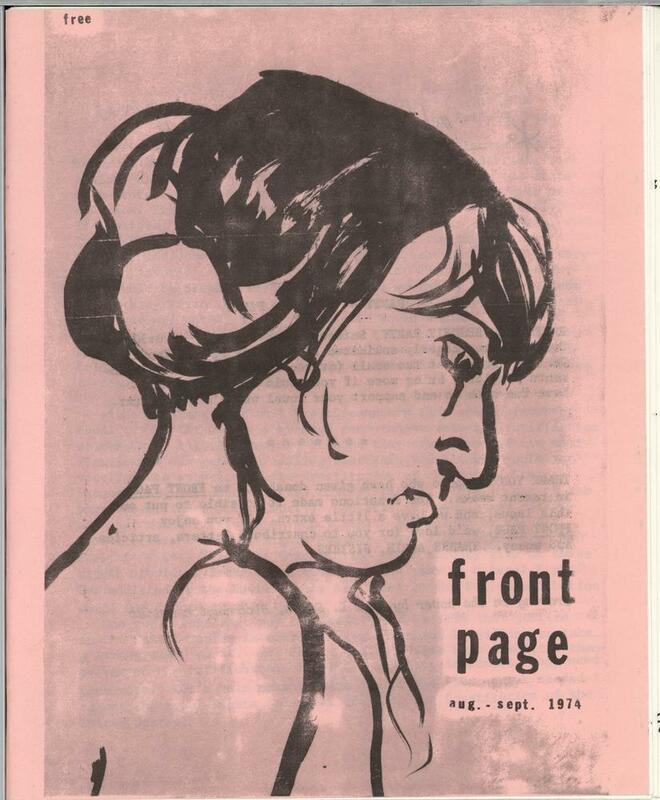 We are happy to announce that the Geraldine Katherine White papers are now open for research! 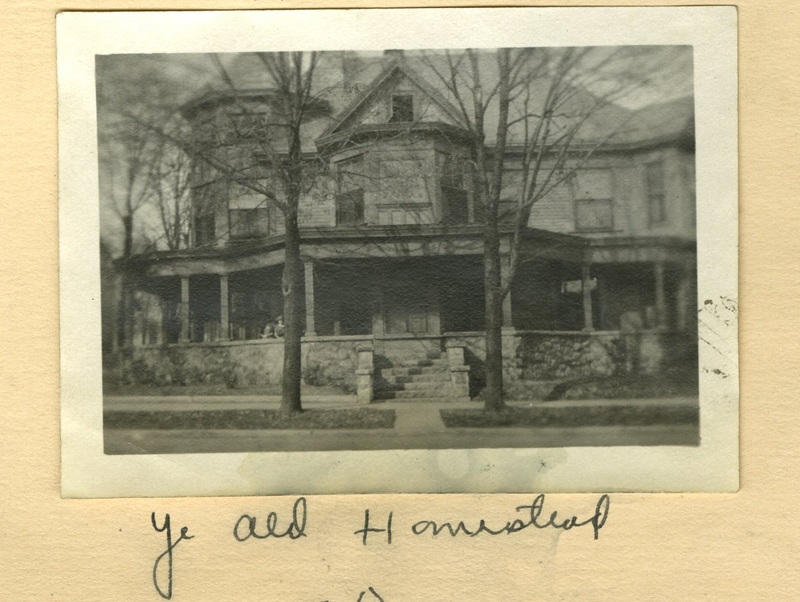 Geraldine Katherine White (1903-1985) was an Indiana native who grew up in St. Joseph County, Indiana. 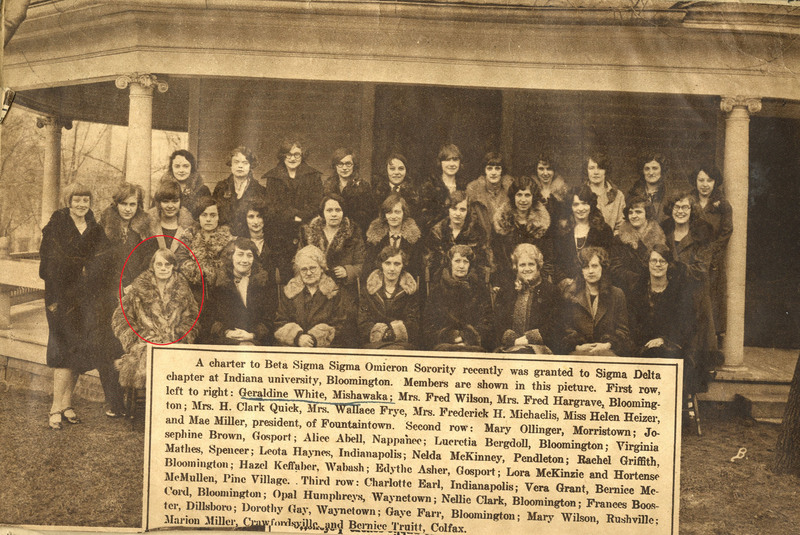 She enrolled at Indiana University in September 1922 and graduated in 1926 with a B.S. in Commerce. 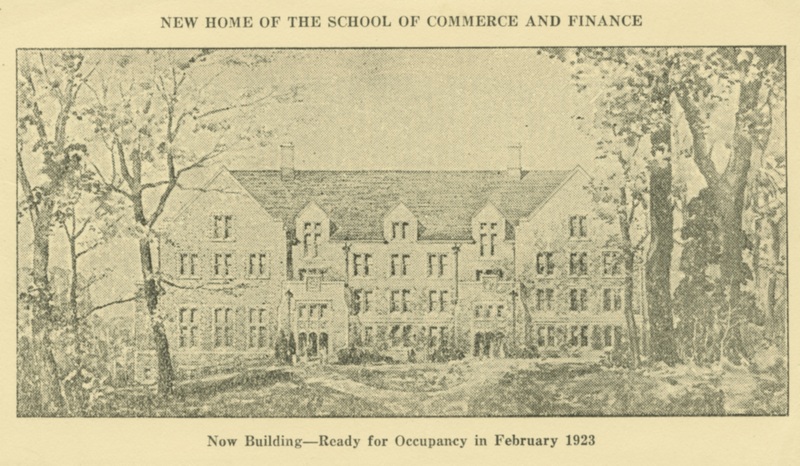 During her time at IU, Geraldine was involved in a number activities associated with the School of Commerce and Finance (now known as the Kelly School of Business). 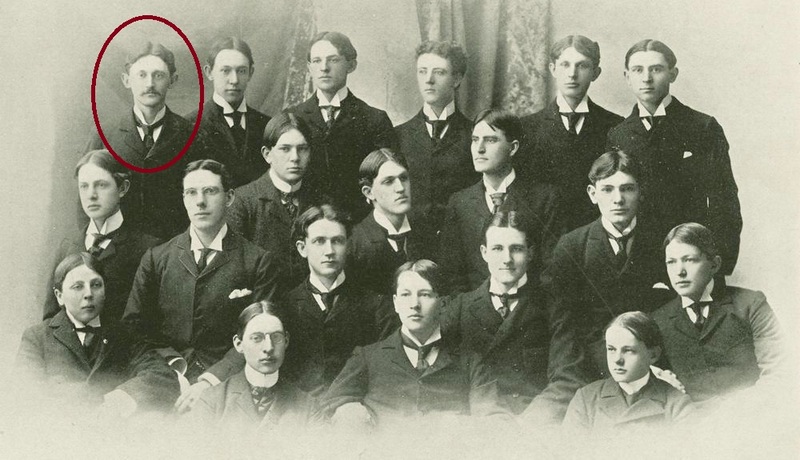 The school, which was established in 1920, was still new at the time and gave Geraldine the opportunity to take part in the early formation of what would become one of the consistently high-ranking business schools in the nation. 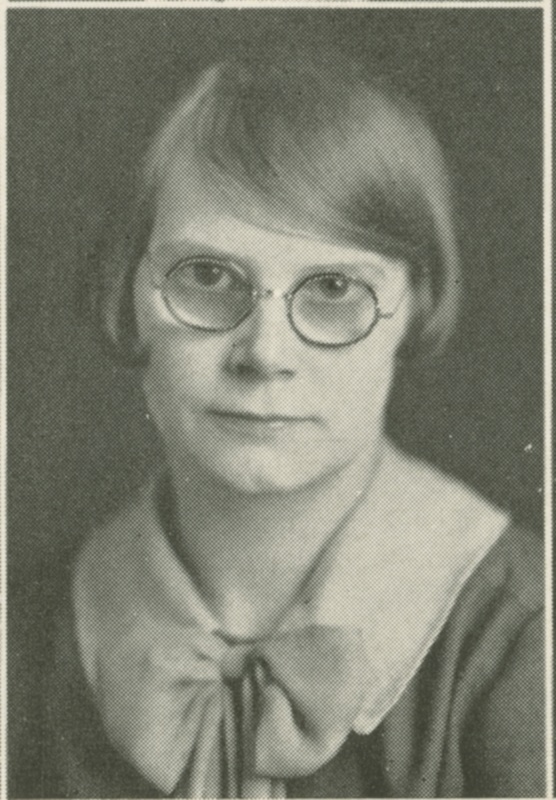 She was Vice-President of the newly established Girls’ Commerce Club, a group composed of advanced students in the commerce program. 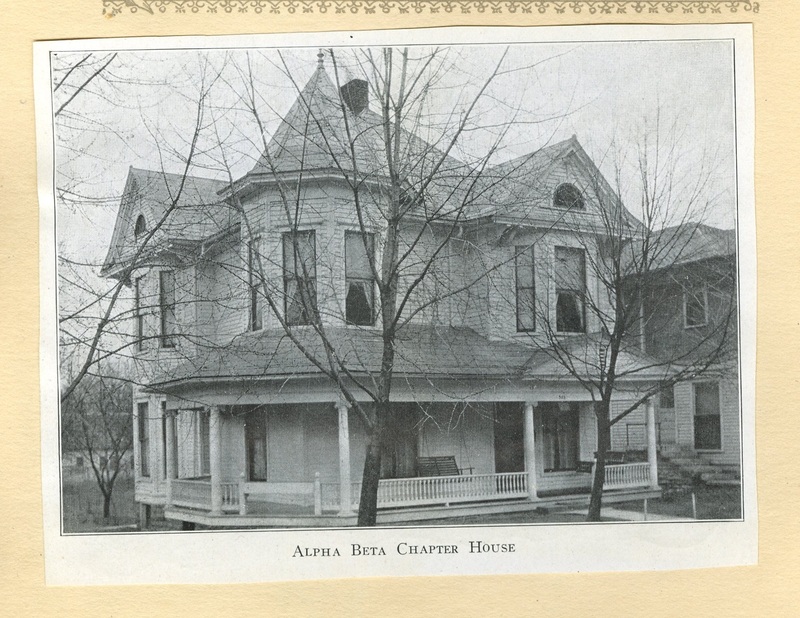 The young woman was also a charter member of IU’s Phi Chi Theta, a society for women majoring in Commerce, and was on the Executive Board for the Hoosier Journal of Business. 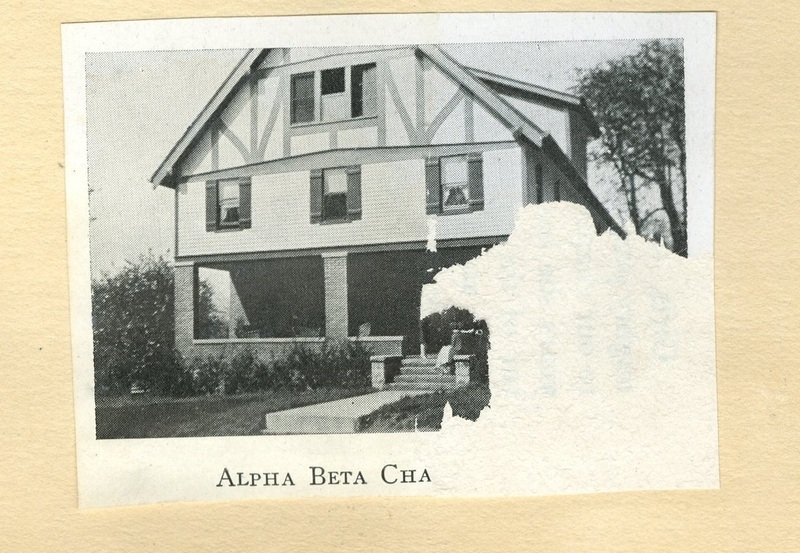 During her senior year, she joined an inaugural pledge class for the Alpha Beta chapter of the now-defunct Beta Sigma Omicron. She also received the honor of joining the Mortar Board, a national honor society that recognizes college seniors for their achievements in scholarship, leadership, and service. 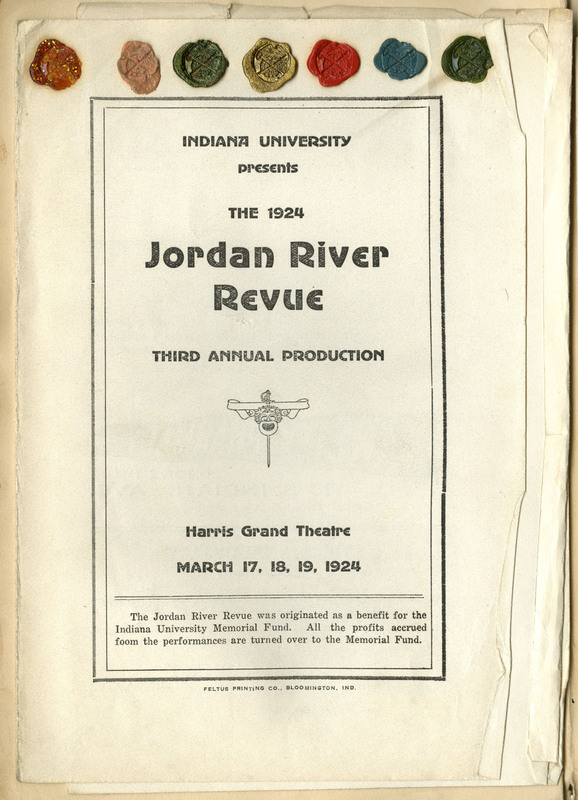 The collection contains course notes from various classes Geraldine took from Spring 1924 through Spring 1926 and two scrapbooks that hold items associated with White’s social life while at IU. 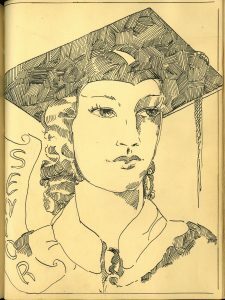 The two scrapbooks, which date from 1922-1923 and 1925-1926 respectively, provide a more personal look into Geraldine’s social activities and the campus community. They contain sports schedules, pamphlets from events, bylaws and other information associated with the sororities and professional organizations that she was involved in, and pictures of friends and events. 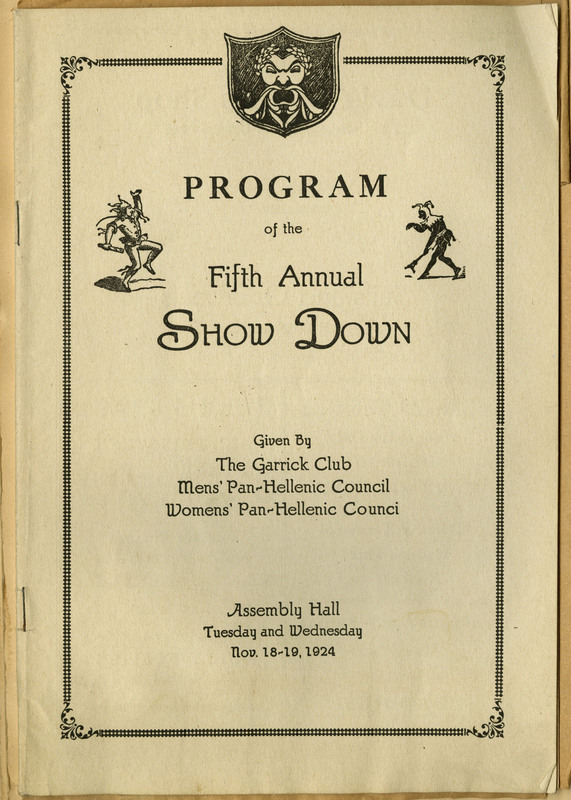 In addition to more items related the Memorial Campaign Fund, researchers will also find a wide array of pamphlets from theater events like the Jordan River Revue (a popular musical variety show put on by the Garrick Club, an organization that promoted University dramatic endeavors), the annual “Show Down” (another variety show hosted by the Garrick Club geared toward fraternities and sororities), and comedy shows. 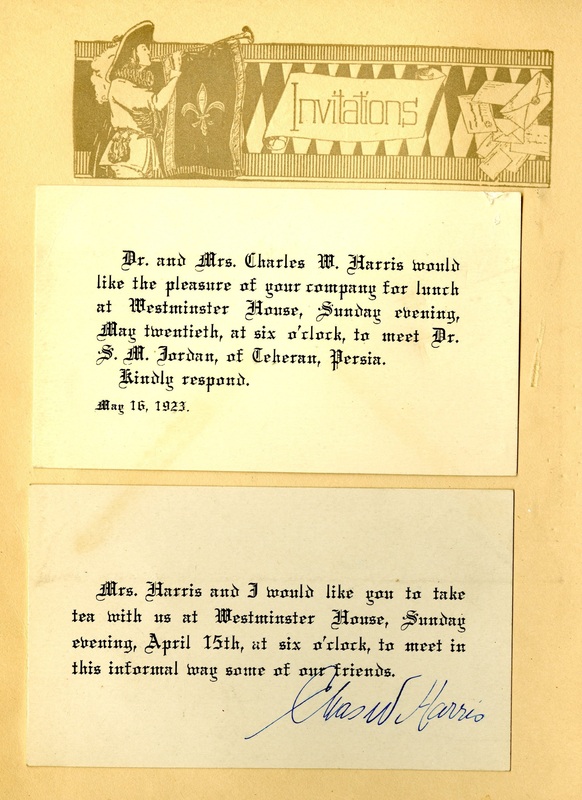 Music events and dances are also very popular themes in her scrapbooks. 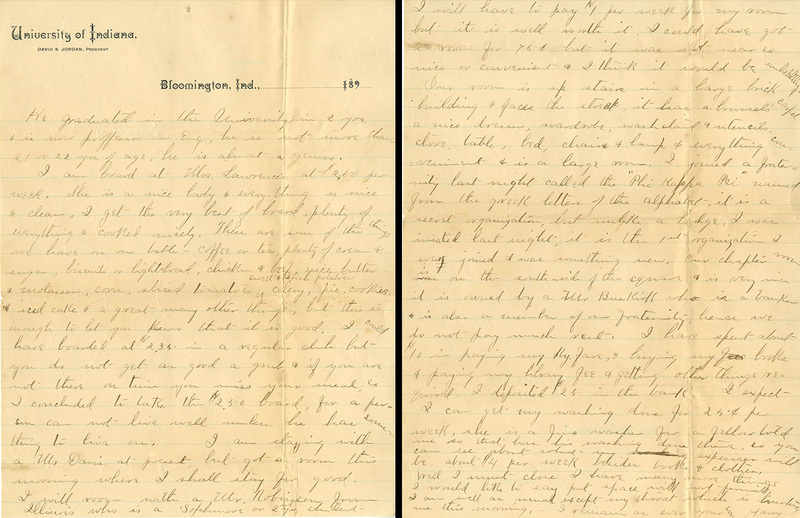 The pages are also filled to the brim with handwritten notes from friends recalling various memories during their time at IU. 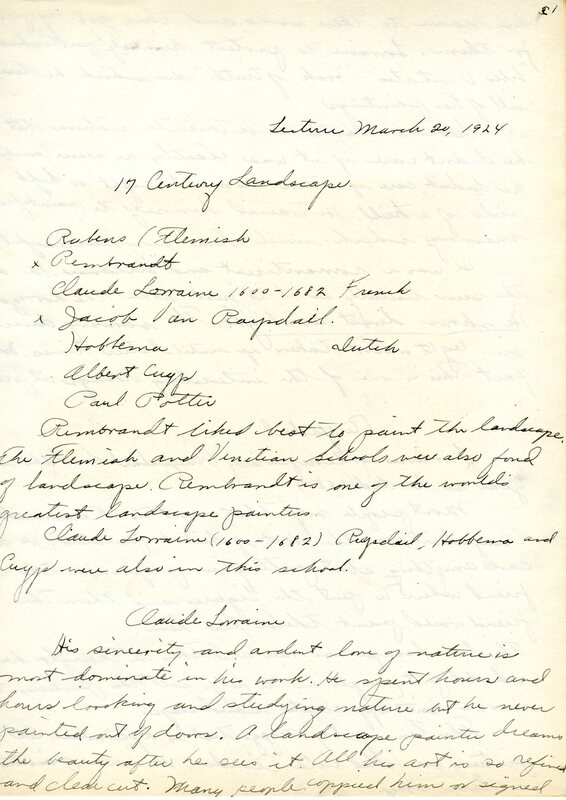 If you would like to view the Geraldine Katherine White papers for yourself, please feel free to contact the IU Archives to set up an appointment. 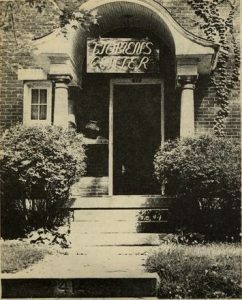 In 1925 Memorial Hall Indiana University’s first owned and operated women’s dormitory opened, followed shortly thereafter by Forest Hall in 1937 (later renamed Goodbody Hall), Beech Hall in 1940 (renamed Morrison Hall in 1942 in honor of IU’s first female graduate Sarah Parke Morrison) and Sycamore Hall in 1940. 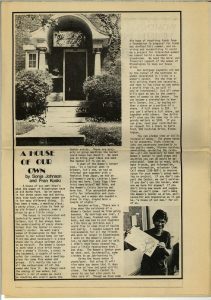 Each of these residence halls making up what we now know as the Agnes E. Wells Quadrangle had a long-standing tradition of making a scrapbook to document prominent activities and events that occurred either in the dorm or with its residents during that year. and the Student Building. 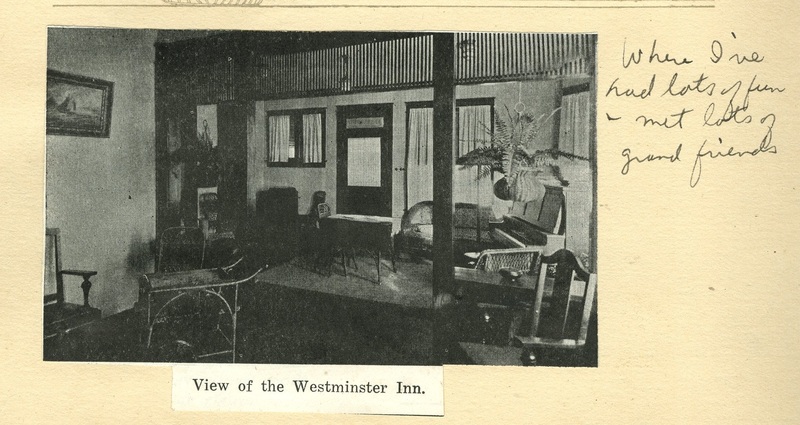 Besides formal photographs, there are images of everyday dormitory life, such as students studying, dining, or participating in athletics and other activities. Many scrapbooks also contain memorabilia and ephemera such as dance cards, invitations, correspondence, event programs, sports schedules, newspaper clippings and similar items related to campus events and activities that were either sponsored or hosted by the dormitories or attended by their residents. Events frequently represented in these volumes include Homecoming, the Little 500, seasonal formals, and celebrations of holidays such as May Day and Christmas. These scrapbooks often also include little tidbits that give modern readers insight into the relationships that these women had with each other and how the outside world impacted their daily life. 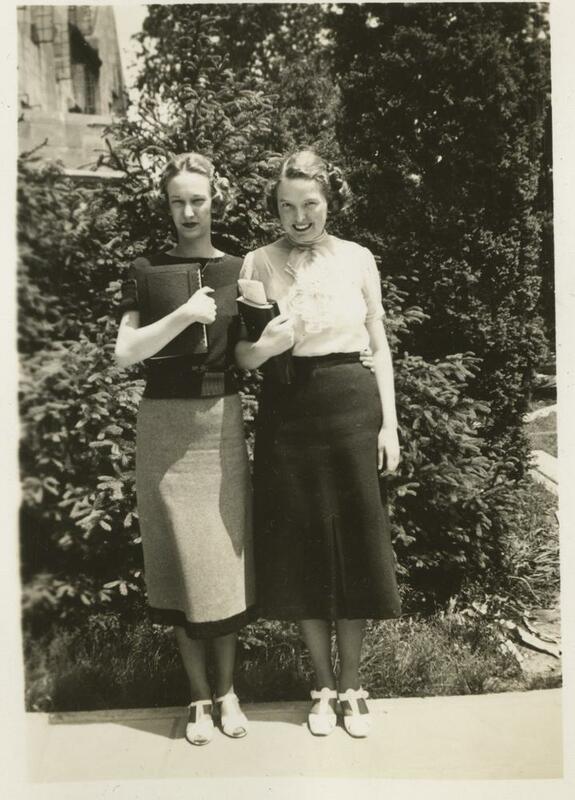 For example in a previous post from last year Mail Call: Correspondence at IU during WWII, our readers learned about how ladies at IU were affected by WWII. 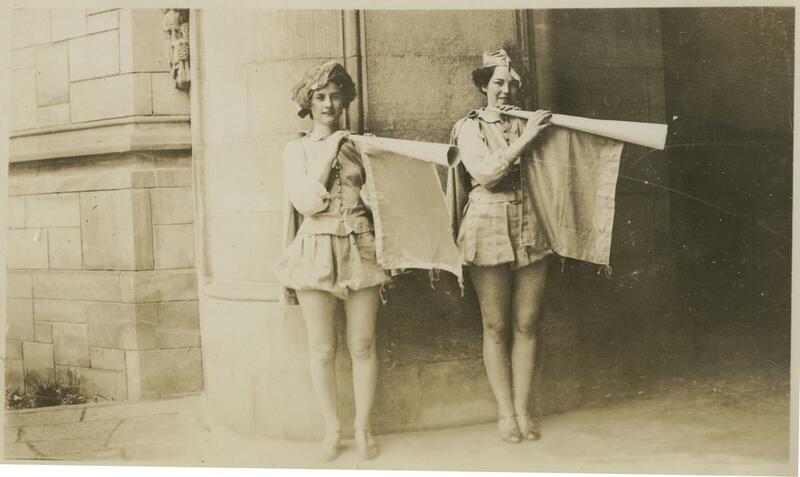 Many a scrapbook regale the reader with descriptions of pajama parties, teas, dances, and social coffee hours. 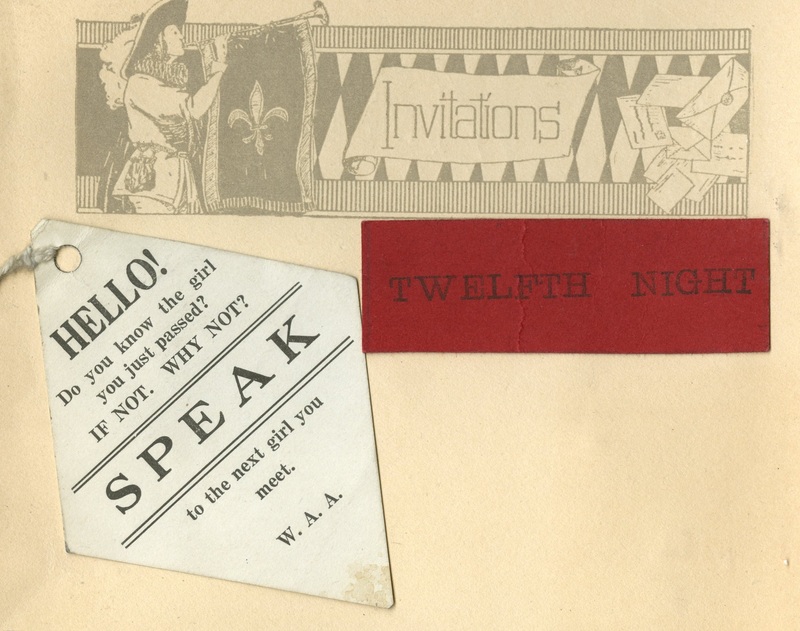 Others may include more personal notes such as a congratulatory message from the dorm to one of the ladies on her engagement, a retelling of a special moment during the year, or perhaps an inside joke known only to that particular community. 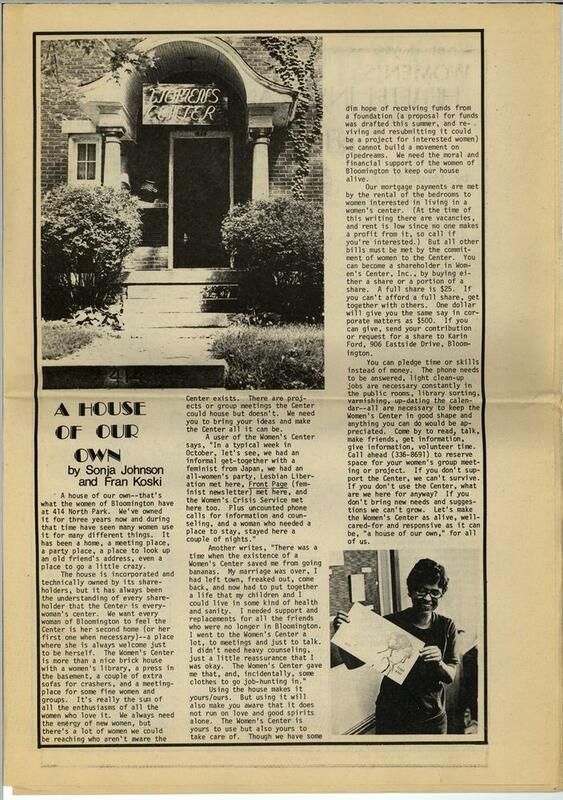 Each scrapbook will also often include sections on the academic triumphs of the residents and a section dedicated to seniors which recount many fond memories of their lives at IU as well as advice for underclassmen moving forward. 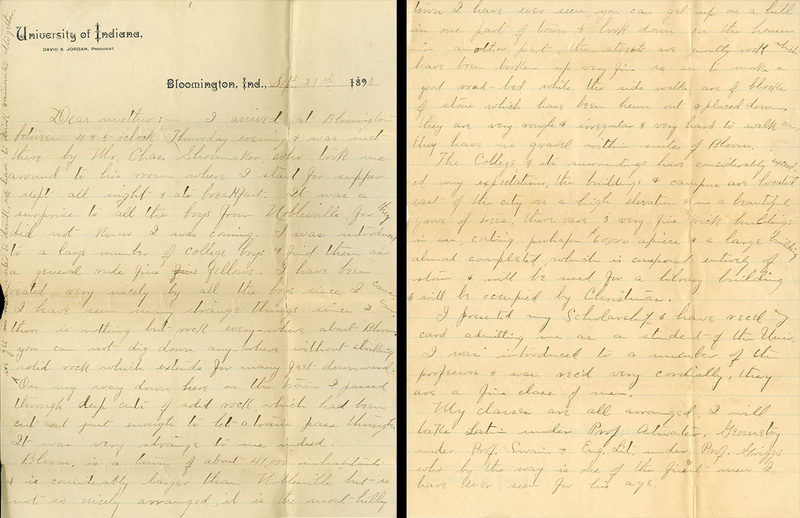 If you’re interested in these or other scrapbooks contact the IU Archives to schedule an appointment.